Rome, Italy, May 19, 2017 / 06:09 pm (CNA/EWTN News).- Apostolic nuncios attended a crash course last year on gender from an expert in the field, who stressed the need for the Church to develop a unified strategy, based on the faith's basic principles, in fighting gender ideology. This implies a daily struggle and fight with original sin, he said, explaining that “the redemption of our own embodiment and therefore of our own sexuality and complementarity” is a task each person must carry out daily. Fr. Gahl, a priest of Opus Dei, is an associate professor of ethics at the Pontifical University of the Holy Cross who has authored numerous publications on sexual ethics and moral action, among other topics. He was chosen to lead a course for some 140 apostolic nuncios held during a Sept. 15-17, 2016, jubilee weekend dedicated to them, during which they met with the Pope and had several rounds of catechesis. One of the courses the nuncios attended was that on gender offered by Fr. 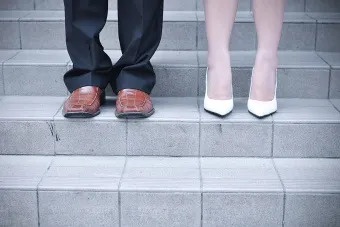 Gahl, who spoke about the rising threat gender ideology poses throughout the world, its political and ecclesial implications, and the strategy the Church must develop to effectively oppose what is often a very savvy communications strategy from the other side. “This is really fascinating … the challenge the nuncios have,” Fr. Gahl said, explaining that he tried to give them space in the course to reflect critically on their work, in which they both coordinate among bishops and serve as diplomats. “Gender ideology is threatening the freedom of religious expression, religious belief, and the freedom of the Church as an institution in many places, and in the places where it’s not being threatened, it probably will be threatened very shortly,” the priest explained. Instead, he voiced his belief that most of the pushing is being done by people with “a good intention” who are truly convinced it is for the betterment of humanity. “I see it as being rooted in a view of the human being … that comes out of post-modern philosophy,” he said. This notion, the priest said, is what Benedict XVI described as “a nihilistic understanding of freedom, such that we are each our own creator.” In this view, God is replaced and we can each create ourselves in the image of whatever we would like to be, rather than receiving our nature from another as a given. “What’s really horrible about this is it means we have no intrinsic dignity. No one has intrinsic dignity, no one should be respected for who they are, but they should be respected for who they think they are,” Fr. Gahl said. The priest said it was providential that he gave his talk during the Jubilee of Mercy, because he was able to contextualize it within Pope Francis’ emphases on tenderness and compassion. “My entire conference was infused by this effort to say we should be understanding toward people, we should be compassionate to them … especially people who are suffering from some form of gender dysphoria,” he said. Fr. Gahl said his course provided a unique space for the nuncios to ask questions and exchange ideas. Because of their position, nuncios typically come to the Vatican on an individual basis and “basically never have the opportunity to all get together and discuss important issues,” he said. While his course was in many ways an exceptional opportunity for nuncios because of the jubilee, Fr. Gahl said he believes it would be useful to have nuncios come together more often to discuss timely problems the Church is facing today. Even if they come in smaller groups divided by region or language, “perhaps there’s some way … in which that could be done in the future,” he suggested. During discussion after the course had ended, nuncios brought up various concerns, Fr. Gahl said, noting that at least one comment was made on the need to convey “an awareness and a savvy” on the issue to seminarians. Fr. Gahl said he was impressed by the resonance among the nuncios in recognizing the importance of the gender issue, and noted that he often emphasized the need to utilize new media better, given its influence. In Francis’ view, “this as an intrusion or a violation of the rights of the parents, who are the principle educators,” Fr. Gahl said, noting that this is evidenced in many of the Pope’s writings. “It imposes upon other people styles of life that are contrary with reality. Contrary with the understanding that marriage is between a man and a woman,” he said, adding that “the Pope is very concerned about this,” and is emphasizing the need for complementarity. 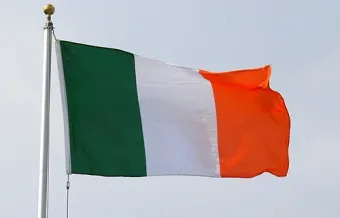 Limerick, Ireland, Sep 9, 2018 / 06:01 am (CNA/EWTN News).- Bishop Brendan Leahy of Limerick has encouraged a fresh collaboration between the Church and the government of the Republic of Ireland. “I make a humble plea to all who want to begin with us again in a new way, what the Taoiseach called a new covenant; let’s rebuild a church at the service of Irish society,” he told the Irish Times. Bishop Leahy’s comments come in the wake of the World Meeting of Families, where Pope Francis spoke about the country’s clerical abuse scandal. The Bishop of Limerick identified the scandals as “a blindness in the Church” which is now being viewed with open eyes. He said that despite the discouraging events in the Church, the faith has been a constant in the country, which was greatly expressed during the World Meeting of Families. This does not negate the evil which has been committed, he added. However, he said it would be unfair to present and future possibilities to see the Church only in light of these scandals. “Clearly those who attended the ceremonies in Dublin and Knock have a deep love of their faith and we must continue to nourish that. It is our mission. The sins of the past cannot be allowed to cloud over that mission,” he said. He said Church has made tremendous strides in improving the protection of children and repeated the Church’s decision to cooperate with the authorities. If any secrets of abuse remain hidden, he encouraged those members of the Church to bring it into the light. Relations between the Church and the Irish government have been strained in recent years. In May, voters repealed the Eighth Amendment, which banned abortion. The following month, Taoiseach Leo Varadkar said that publicly-funded hospitals in Ireland will be required to perform abortions, even if they are Catholic and morally opposed to the procedure. Individual medical professionals will be able to opt out of performing abortions, but entire hospitals will not be able to do so. 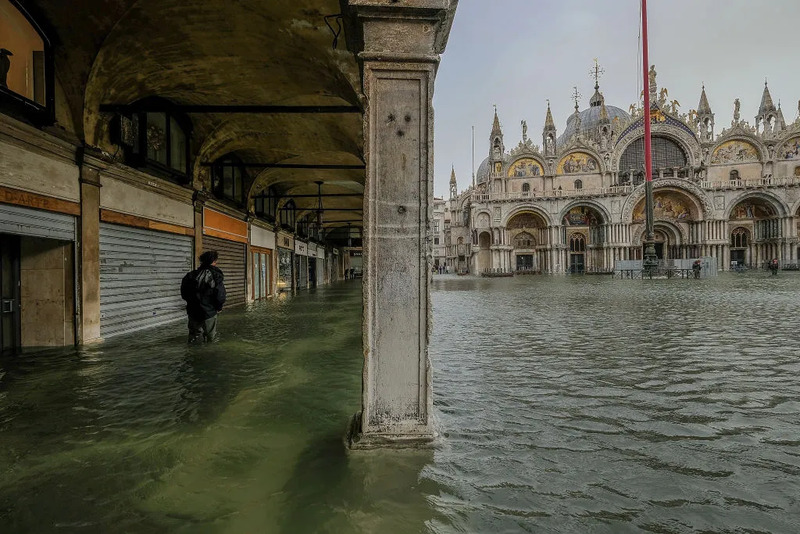 Venice, Italy, Oct 31, 2018 / 01:29 pm (CNA/EWTN News).- Saint Mark’s Basilica in Venice flooded with nearly three feet of water this week, damaging part of the 1,000 year old marble mosaic floor inside. Flood waters kept parts of the Madonna Nicopeia chapel’s intricately designed floor under three feet of water for 16 hours, Tesserin said. The chapel, located in the cathedral’s left transept, contains a 9th century Byzantine icon of Mary.